Broken things drive me crazy. Just call me the Fix-it Fairy. If something is broken–be it an object, a person, or a system–I have trouble accepting the state of brokenness. I want it fixed. Last week I talked about the correct way to submit queries. Today I want to vent about the query system agents currently use to screen potential clients. Here’s a news flash: the system is broken. Queries are not necessarily representative. Some of the finest writers are some of the worst query writers and vice versa. We’re making seat-of-the-pants decisions on a bit of promotional-type writing. Scarcity of Slots. Truth be told, most established agents carry a very full client list. That’s not to say that we don’t take on a new client if we fall in love with the book or the writer, but I struggle to find new clients through the query system. I often wonder if it is counter-productive. So how do we find clients? Each agent is different and I know, even in our agency, some agents have found a good number of their clients through the query system. But I tend to find clients two different ways: through referrals from editors, clients or published authors; and through meeting writers in person at a conference. As I write this I’m in Minneapolis for a the Northwest Christian Writer’s Conference. I always look forward to meeting writers in the flesh. Some writers I’ll be meeting for the second or third time. So. . . can the broken query system be fixed? I’m not sure it can be fixed. In a dream world I would say that the tsunami of queries needs to be stemmed but no matter how many times we stress research and matching the project to the agent we can’t make a dent because query spammers never assume it applies to them. The only writers who take heed are the very writers we most like to represent– writers who invest their time in research and follow all the guidelines. Do we need more agents? Maybe, but remember there’s still a finite number of publishing spots. If we doubled the number of literary agents while publishers kept publishing the same number of titles, agents would statistically sell only half as many books. And their clients would probably have their chances of getting a book contract cut in half. The reality of the current market is ever-shrinking publisher lists. Can a writer get around the broken system? Yes. If you are reading agent blogs you are exactly the kind of due-diligence writer agents love to represent. Think outside the broken query system. Connect with other writers. Once you get to know published writers you may get the offer of an introduction. Or cut out the middle man and meet your target agent(s) at a writer’s conference. Also remember that you stand a better chance with a newer agent (like our amazing Cynthia Ruchti), an agent just developing his/her client list. Your turn: You can tell I didn’t come up with many solutions to the broken query system.Got any suggestions for fixing the system? Would you like to point out the unfairness of it all? Is there something I’m not seeing? I’ll respond to your comments after I return. The hardest thing for me is recognizing the value of the writer’s conferences and longing to make that investment in my career, but lacking the time and money to do so. It’s extremely frustrating and an issue I’m not sure how to work around. The one saving grace to the whole process is faith. Trusting God for those divine appointments. Doing my due-dilligence and moving when He says, while trusting His timing and His way of working things to His plan. * So I did, and that flight crashed, horrifically, into a San Diego neighbourhood whilst on approach to Lindbergh Field. * When I read of it, and looked at the passenger manifest printed with the reportage, my blood ran cold, for among the passengers was one Andrew martin…and Martin is my middle name. Oh yes! I often think of this when I get stuck at an inoportune light or railroad crossing or something like that! Good word, Andrew! Hey, Jennifer. Is there a small conference in your area. I know ACFW and Mt. Hermon and other big ones will be over 1,000 dollars when all is said and done, but about 2.5 hours away from us is a small conference that is under $200. I stay with a friend instead of doing the hotel thing and it is affordable. Many large conferences will also run a one day worship intensive that can be affordable. Like the Oregon Christian Writer’s Conference. Their big summer conference is expensive, but their one day workshops are more doable. Praying that you will find a good fit. I am in your boat as well, but thankfully, found an option that worked and am blessed with a husband who doesn’t become terrified of watching 3 rowdy boy children by himself for 2 days. Leery of what might be presented. I also haven’t seen any CBA authors on the list to attend. But I’m keeping my eyes out for sure! Thanks for the thought! Kristen had a great suggestion! I first got my conference feet wet by attending conferences for just one of their scheduled days. You can still get a lot of benefit that way, without the huge cost! Hope you can find one close enough, Jennifer! Jennifer, All we have locally is a small writers conference. Not a single thing for Christian writers, but I have certainly found a lot of helpful information in the workshops and panels and have met agents a few times as well. The best part: now that I’ve sat with an agent face-to-face three times, it’s not half as scary as it used to be. Maybe talk to one of the organizers if you see something smaller and more affordable to ask what to expect. Good luck! @ Jennifer – Yes to all of this! Money is certainly a factor, but I’ve seen God’s provision in ways I didn’t see coming. I so love that you wrote about trusting God to work things out according to his will while doing the work. Great post, Wendy, and I love your courage here. * What frustrates me the most is that I used to do really well in person, but can’t write a good query to save my life…and I’ve probably written as many queries (including drafts, obviously) as pages of manuscript. But there’s no way I will ever get to a conference now…nor could I make a good impression if I did. * At this point, I’m using the Lana Turner Method…absent, of course the Hollywood coffee shop in which she was discovered, and her good looks. If God wants me to connect with an agent, one will find me through my blog presence. If not, not. * I’d accept an offer of a referral from a writer-friend, obviously…but I wouldn’t put anyone on the spot by asking. That seems a bit gauche, and I’d rather remain unpublished but gentlemanly. In a crass display of self-promotion, working on that Lana Turner Method, I will offer any Industry Professionals reading this a shot at my new and likely last WIP. * Having weathered the process of circling the rain for a bit longer than my puzzled and somewhat frustrated doctor (“He’s STILL alive? ?”) anticipated, I’m working on trying to get across what dying’s like, at least from my perspective. * It isn’t what you’d think from Hallmark Movies Of The Week. There’s no sadness, no wistful nostalgic melancholy. When every breath becomes an effort, and every time you are able to stand up is something of a victory, you’ve got no time for sentimental rubbish. No time to be sad at lost opportunities when the next step you take is the only opportunity on the horizon. * It’ll make corpsmen hold their sides in immoderate laughter, cause puzzlement among normal people, and I have no doubt that the title will get some serious surgery…but I’m having fun while I last. * And isn’t that what writing and life are all about? For what it’s worth, Andrew, I vote for “Still Breathing.” As my eyes traveled over those two words, they jumped into my heart as both truth and prayer. Damon, well, if the agent’s got a thing for scary-looking Asian dudes in wraparound Oakleys, then I may just be golden! In my workplace, we’re all going through “Lean Training,” learning to look for the waste that adds no value to the process. Most of the time querying is more waste than value–for writers who labor long over words that accomplish nothing, for agents whose inboxes are packed with words unworthy of their time. Thanks for this honesty. I prefer the face-to-face of a conference even though it is expensive in time and money for both parties. If we are going to be business partners for the long haul, let’s start with meeting in person. I think we’ll learn a lot more. I received a rejection that may solve at least part of this. It was from a reader hired by the agency to vet queries, much like a screener on a radio station. It noted that I somehow did not include a synopsis, and it suggested a couple of sources for writing a solid one. Once completed according to the suggestions, I was allowed to resubmit with a fresh and clean back-to-the start query. Perhaps agents could use outside filters, such as only taking queries through a website featuring an online form, or a site listing a code that must be in the subject line, indicating the writer at least passed through a site that may help improve the query. As to authors who can’t pitch but might have a bestseller, well, I already went direct-to-publisher, simply off a single-line mention of my ms. in a New Yorker article; I might have to do that again. Not all of us. Aspiring writers can afford the time and money to attend conferences, or have the guts to approach total strangers and ask, “Are you an agent?” Some conferences let us pay for individual agent pitches, but don’t require those agents who allow a query to respond in any way: I’m batting 50 per cent in getting any response. Same from queries sent over the transom. Do we pester or take the lack of response as a no? Sure, a new agent might be more likely to take me on, but less likely to have the publisher contacts to sell my book. The agents themselves give contrary advice. “”Why would writers include word count? I don’t care,” versus always include it. “Always include a synopsis, even if the agent doesn’t specifically request it.” The lack of feedback frustrates me. After more than 70 queries, I’ve received 31 responses. All negative, all right. But only four mentioned my writing at all, in any way that indicated I’d been read. Three were variations on, “Liked your writing but we’re not taking on clients.” Only one was negative: Didn’t excite me.” Agents met at conferences often give their cards with a new email address for the query. This makes me wonder what happens to the over-the-transom queries sent to the website-listed query address. Wow. Sorry to load up this message so much. Looking very closely at programs like Inkshare. Thanks for reading this. Here’s a possible system that might work as well (or maybe better) than the current query system, but with less work to the agent. This will only work in a buyer’s market, such as we have now. 1. Immediately institute a practice of “No Unsolicited Queries Accepted”. 2. Anyone who wants to query must go to the agent’s website and register, and get a number generated at random. This registration will be for a particular book (or series), not for the writer’s entire portfolio. So a writer could register multiple times for different books. 3. When the agent is ready to review queries, he/she uses a random number generator to select someone to query, and notifies the registered writer to get their query in. 4. That writer has some amount of time to get their query in (say 3 days, or maybe a week). 5. The agent reviews that query, decides yay or nay, and responds. 6. According to the agent’s schedule, do one query at a time or multiple queries at a time. No back up of queries; no case of the agent feeling badly from not responding to queries or having lots of queries in a queue. Since you say you can get well-written queries for bad books, and badly-written queries for good books, it seems like this random number system might bring as good results as the current system is. You are exactly right in this post. The query system, the agent system and much of the publishing system is broken. As someone who has written more than 60 books for traditional houses, worked at three publishing houses in acquisitions and even had my own literary agency for a while, I know these details firsthand with my own work. As writers to be honest, we can’t fix these challenges but we can take action, build our own relationships with agents, publishers, booksellers, librarians and others who love books. Also we can write the best possible manuscript and work it over with editors. Finally we need take 100% responsibility for our own success (the first of Jack Canfield’s success principles) and be actively promoting our books to others. Every day we do what we can do and leave the rest in God’s capable hands. I’ve gotten a bit of positive feedback from queries, but the most helpful relationships have been agents and editors (and writers) that I met at conferences. I would say go to a conference every year. I can’t afford a big one, but there is usually a small regional conference in your area. Go to that, regularly. You’ll meet so many amazing people and learn so much! Interesting post, Wendy. Queries seem to be a mode for writers to reach out to agents, but rarely are they the most effective method. *I’m finding that building relationships is the better way to go . . . on many levels. We, as writers, get to know other writers in various venues—conferences, meetings, and on blogs. And, agents get to know people they meet and interact with in person and on blogs. It’s not just about getting “noticed,” but about learning and interacting with others in the industry. *It seems like queries may be a way to get our ideas in front of an agent. But, I imagine due to the sheer numbers agents must receive, it would be challenging for a writer to really be noticed by said agent. Writers need to find ways to engage with agents and other professionals. Just as in many other aspects of the publishing industry, building relationship is key. I do know a few people who received a contract at their first conference, but that’s not common. Typically we still have a lot to learn about writing and about the business, we’re not immediately ready to jump into the deep end of the pool–even if we think we are! Relationship-building is an important feature of conferences, and that cannot be done in a simple query. As an indie, I’m an outsider looking in at this problem, but I still care very much because of the impact it has on people who want a traditional publisher. The ability to create a query that hooks and the ability to create a literary work that touches deep truths while entertaining, that pulls smiles and tears from readers as they are immersed in the characters’ world ― these are as different as being able to win a 55-m indoor sprint and a 400-meter full-out run. 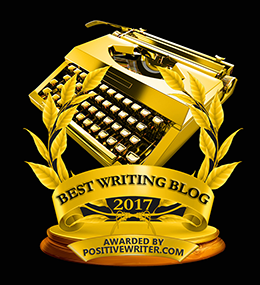 Very few runners have the ability to get the gold at both distances, but that is exactly what is being demanded when writers must get a query past an agent’s trash can before their real writing will even draw a glance. I think the query system is broken because the industry is in so much turmoil and the business model doesn’t work for many of the people involved. My solution has been to work with small publishers who don’t require agents. Niche market publishers who are gatekeepers, produce quality products,and have developed adquate distribution systems are gold to authors who don’t aspire to bestseller status but do want to put their carefully crafted work into reader’s hands and turn a reasonable profit in the effort. I value the services that an agent provides, but, as you said, the process is broken. Yes, I don’t know if there is a perfect answer. No solutions. I think all a writer can do is put themselves out there as much as possible. Not everyone can, but if you can, there are so many benefits to putting yourself out there. The first time I commented on this website, it was to Janet’s post. And she responded to me. I couldn’t believe it. Me. I was hooked. You all have loved on me and overlooked my goofy, uneducated questions … and you’ve educated me with grace. When I saw you and Janet walk into the hotel at ACFW 2015, I hurried to you both with a hug. I couldn’t help it. Regardless of how things turn out in the publishing process for any writer, building relationships is a blessing. It makes us better all the way around. We have to know and let ourselves be known … and that’s not always easy for writers. For many people, the “putting yourself out there” thing is brutally hard. For some, it appears to be easy, but it is most certainly not. Bravery grows with encouragement and kindness, with becoming comfortable in the actual practice of belonging, and finding out that one is loved and lovable no matter the level of one’s skill. That’s sweet, Jennifer. No matter the level of skill. And it’s a sweet thing, and frightening at times, to look back at where I was on this journey three years ago to where I am now. I know there is improvement, thanks so much to this place. And to reading. 🙂 Like Doc Mabry once said … read good works and bad works … you’ll discover the difference. I don’t have a good suggestion for fixing the system. I have attended conferences, and you only get two to four chances at meeting with an agent depending on how early you register and how many authors attend. So, even that’s not a great solution. The only time I met you was at a sink in the hotel restroom, and it’d be rude to infringe on the only potential quiet moment you’d had that day. For different reasons, I won’t be able to attend ACFW this year, but maybe next year we’ll get to meet in person. Thanks for sharing your honest view of query letters. Sorry to hear you’ll miss ACFW, Jackie. This will be my first, and you were on my short list of folks I hoped to meet. Oh, Carol, I’m so sorry I’ll miss seeing you. Maybe we can both make it 2018. A very candid blog posting, Wendy. In the end, the system is what it is, and we have to work within that system. Conferences are gold. A number of respondents have lamented the cost, and yes, they are pricey. This may sound cold, but the truth is, we must prioritize. Example: Wendy, the first time you and I met was at WCCW in February of this year. It was an expensive trip. A flight from WA to CA, conference costs, lodging and travel, not to mention burning vacation time to attend the conference. I was fairly reluctant to make the trip, but my wife and I prayed it through, and in the end, she won out by classifying the trip as an investment rather than an expense. We sacrificed in other areas in order to invest in this one. And back to your point, I made this trip specifically to meet Wendy Lawton. The conference was great, no question about that, but the purpose of the trip was to accomplish exactly what you said above. I don’t have any brilliant wisdom to offer, just that one needs to be agency specific for each query, and YES, conferences are critical for meeting agents. Relationship building is one of the most important things in any profession. I remember hearing an interview with Amy Grant and the question came up about how she found her back-up singers. She said, roughly, that she would ask a talented singer that she knew and trusted if she had a few friends who liked to sing together, and who would do well traveling together for months at a time. Lots of people can sing, but not everyone can live in tight quarters and do the same thing over and over while remaining professional. As we tell our kids: life is not fair, you’re not more special just because you’re breathing, and that hard work and a good attitude are what stand out. Do the work, stay late, come early, be flexible, and smile even when you’re tired. Oh, and no glitter in that snail-mail, rainbow paper query. Wendy, your words help me to realize that I’m not the only one in this boat . . . feeling as if I’ve been bobbing around with no oars or anchor–just because I’m new at all this. What a relief it is to know that you as an agent dislike the query system. When I registered for the Northwestern Christian Writers Conference, I had hoped to meet with you one-on-one. But your slots were filled. Even so, my excitement and anticipation rose as the conference day grew near. How thankful I was to learn there about Minnesota’s regional chapter of ACFW–and even more so to find that you and Janet were scheduled to speak at their meeting on Sunday. Thanks for being available and accessible in person. While I read your blog daily and sometimes chime in, I’m naturally a connector who enjoys those face-to-face opportunities like the one on Sunday. And I appreciate what you and Janet shared that evening–you made me realize that I have a bit of preparation to do before I’m ready to query. 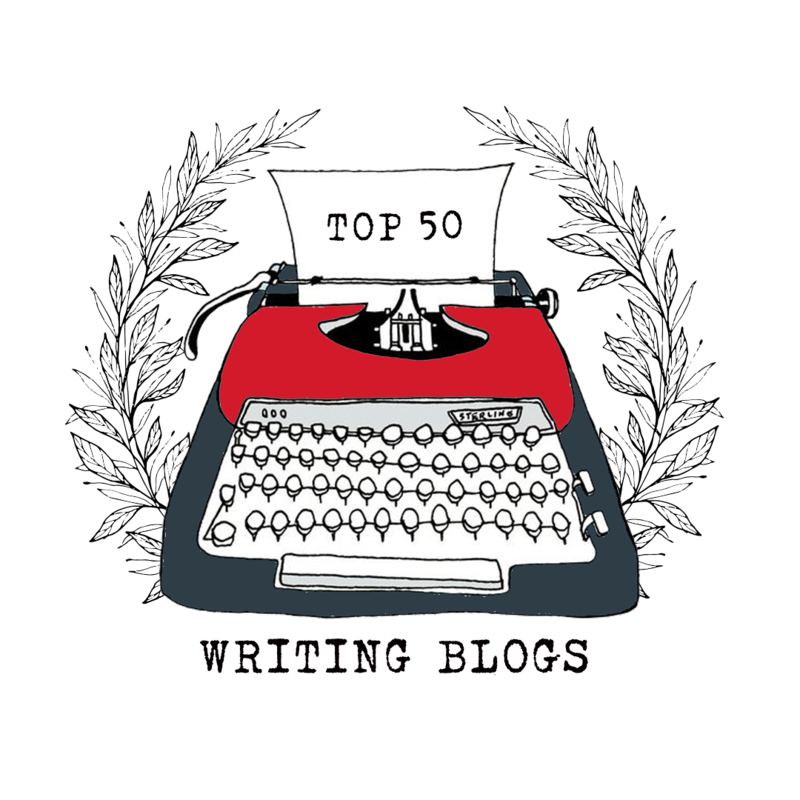 There should be submission sites set up for writers like Ink Tip for screenwriters. Authors pay to have their scripts reviewed (graded) and are notified when the script goes out on submission. It’s a great way to sell a screenplay. Seems that queries are the book worlds equivalent to resumes. Thinking of it this way I can really relate to the situation. I am sure that I have passed over a great employee because they didn’t know how to put their experience and knowledge on a piece of paper. I don’t know that there is a fix to this situation. But I do like your approach. The personal touch is the most reliable way, if for no other reason than we need to like the people with whom we work. a talented person will only become better when mentored with the right partner be it spouse or agent. Jennifer, fear not the things that are in the world. Jesus has overcome the world! And great is He who lives in you! It has taken me many years to go outside the Christian comfort zone. since doing so I have grown in confidence and I have learned so many good and valuable lessons. Yes, sometimes the content can be way out of my comfort zone but I am learning to take what I can and pray through the rest. We Christians tend to cower in front of the enemy and yet he is already defeated. We will never be a light to the world if we cannot be in the world but not of it. Saying all of that is meant to encourage you to go to the secular conferences depending on the content you glean from their advertising. I also would never presume to know where you are in your faith walk. I was 64 when I stepped out of my comfort zone. You, of course, may not be ready, but don’t shut it out altogether. Wendy–I’d suggest that your title should omit the word “query,” leaving “The Broken System.” The industry has changed over the decade I’ve been writing, but I haven’t seen corresponding changes in some publishers and agents. Yes, the query isn’t the only tool for revealing writing talent, but it’s one. Your point about most agents having limited room for new clients seems accurate, yet I see new ones added all the time (and let’s face it–I cringe a bit as my chances are diluted). What’s my answer? I don’t have one, unfortunately. But thanks for bringing up the topic. Do established agents have a system so that beginning agents can act as a filter? The latter could screen out the bad proposals, offering constructive criticism. The former would deal with a smaller percentage of projects and lower the response time and get to the best projects quicker. It would also seem that a different type of agent could deal with the “established” authors whose projects are being published. Some “specialization” might be helpful. Weeks and months to get to a submission is dysfunctional, especially when you rule out multiple submissions. I think the idea of treating a creative process as though it was a “business” is bad. A fiction author should not have to worry about advertising copy and market research in a query letter! Finally, thank you very much for doing this, although I don’t agree that reading blogs is part of due diligence. I don’t read physicians’ blogs before I schedule an appointment, or dentists, etc. Hope you had a nice trip. What I’m getting from this post is frustration with an abundance of queries that don’t match your agency and the time it takes to go through them. Perhaps there’s a solution that’s more on your part than the writer. Are you making your agency available in writer spaces? When writers query Christian fiction agents (or whatever aspect you specialize in) is your agency a top search in Google? I work with a writing group and I deiscovered them several years before joining because they came up as a top result in a search for local writing groups. Making sure your agency website has SEO keywords for discoverability. Is your agency listed in resources that writers would gravitate toward? 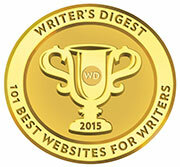 Do you do guest blog posts for larger platforms like Writers Digest? The onus is always on writers to spend money on conferences and to research. Those are key, but if we’re looking to change the conversation, how can literary agencies make their own guidelines more accessible to the newly querying writer? After spending way too much time on the query-go-round, from where I sit the part that is broken may be the agency website itself (I’m referring to no specific agency here, but a generic statement). These sites need to be updated extremely frequently. If this month you are NOT looking for romantic fiction, change the website to say something like “we are not accepting romance proposals until October.” If your list is full, CLOSE TO SUBMISSION. Update the web site frequently enough to direct authors elsewhere if their project is a better fit elsewhere. It’s disingenuous for me to send you a CBA perfect romance novel if you’re neck deep in other perfect romance novels. Agencies, do not waste authors’ time. A TV reality show where unagented writers pitch novels or non-fiction books and a panel of agents gives their opinion, maybe picks a winner. Can represent or not like Shark Tank. I love your honesty in this post. Sometimes there is no clear answer even when the problem is obvious. In a dream world, I might suggest that every billionaire become a publisher so that the industry can publish millions more titles and employ that many more agents and authors. Except, that would flood the market and cause different problems. So even that fantasy is flawed. Oh well. I guess I’ll go polish my query letter again. There is a Catch-22 that is driving me bonkers. I have finished a 366 day devotional specifically for cancer patients. When I query agents, I am told that I do not need an agent for this kind of writing and am given the names of publishers to submit proposals to. Only ONE of these publishers actually accepts proposals from writers. The others prefer (or require) agent submissions. What’s a new author to do?